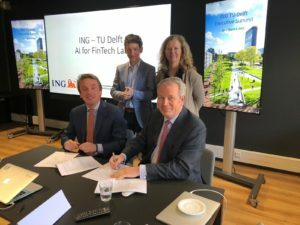 The AI-for-Fintech Lab (AFL) is a collaboration between ING and Delft University of Technology. The mission of AFL is to perform world-class research at the intersection of Artificial Intelligence, Data Analytics, and Software Analytics in the context of FinTech. Over the next five years, ten PhD researchers will work in the lab. Research topics will include, among other things, human-centered software analytics, autonomous software engineering, analytics delivery, data integration, and continuous experimentation. 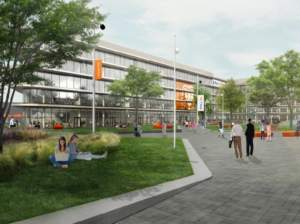 AFL will be bi-located at the ING campus Amsterdam and the TU Delft campus in Delft, bringing together students, engineers, researchers, professors, and enterpreneurs from both organizations at both locations.